I don't remember you. Hope you're not telling porkies sunshine. something is not right about this student. I have access to a list of all past a present Aurochs with links the their JA profile, I would like you to provide me with either one or all of the following, your former JA name, profile ID# or link to your old account/profile. I don't take kindly to people claiming to be something they aren't, so for your sake I hope your claims are true and you can supply the information. This comment was edited by Z�diac Grimclaw on Jan 20 2009 01:44pm. This comment was edited by Jade Jedi on Jan 19 2009 02:52pm. I'm sure we will run into each other on server - and we'll see where it goes from that. Hello there! Apparently we know each other, how so? I think you should scroll down this thread and have a look at what would normally be written, instead of just. "I need a master" Johauna and I have both made posts about it. This comment was edited by Cuthalion on Jan 19 2009 12:00am. 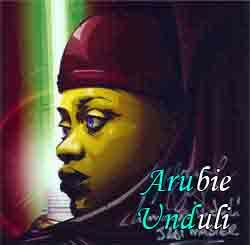 Arubie, you can't be the official Master to someone until you've been granted that privilege. The Red Tournament has already begun im afraid. I take it you like Luminara? allways love you Heaven isnt all that far someday i see you my friend i love you Vlad and i will allways do. Here is where you can find Jaiko. Welcome to the Academy, I hope you enjoy it as much as I do, If you have any questions don�t hesitate to ask me, or anyone else.